The No. 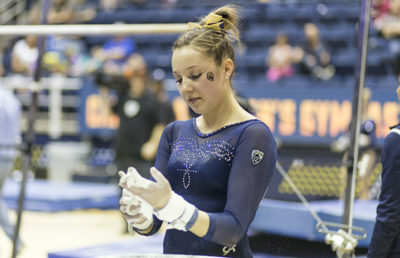 15 Cal women’s gymnastics has already faced formidable opponents this season, including No. 18 Washington and No. 22 Iowa. Despite this, excellent performances from key gymnasts have managed to keep a perfect record intact. This Saturday, however, the Bears are in for the toughest challenge of their season so far –– No. 4 Utah. It comes as no surprise that the Utes are ranked in the top 5 this season. Utah is an historical powerhouse in the sport, having appeared in a record 41 national championships. Led this year by freshman and 2016 Olympic alternate MyKayla Skinner, who has won Pac-12 Gymnast of the Week and Freshman of the Week for three straight weeks, the Utes also enter Saturday’s meet looking to defend a perfect record. What’s more, they’ll try do so in front of one of the biggest crowds in women’s sports. Cal is coming off of a commanding victory of Arizona State. The Bears swept all four events, earned five individual event titles and ultimately came away with their fourth straight win of the season. 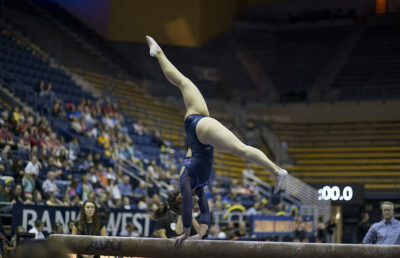 Cal’s win against the Sun Devils came despite a number of injuries and subsequent changes to the Bear lineup in the week prior to the meet. Freshman Cassidy Keelen was out of the lineup for the first time all season with a knee injury, and fellow freshman Alexandra Dudschus was sidelined because of a back injury. On top of that, junior Toni-Ann Williams was competing through a sore knee. But sure enough, the team was able to come out on top with a 196.025-193.575 win. In strikingly similar fashion, the Utes are also coming off of a victory and sweep of all four events in their last meet at No. 18 Washington. Like the Bears, they did so despite two significant injuries. Although Utah has the advantage over Cal in season average points, Howell has described scoring in two of the Bears’ four meets this season as being tight. Utah has crossed the 197-point threshold twice this season while Cal has yet to meet that mark, even in its best event — a tri-meet against Washington and San Jose State. Cal is 1-17 in competition against Utah, with its lone win coming last season in the NCAA Championship Semifinals. The Bears will certainly need to compete clean in order to beat a Utah team that is 92-96 in hit routines on the season. 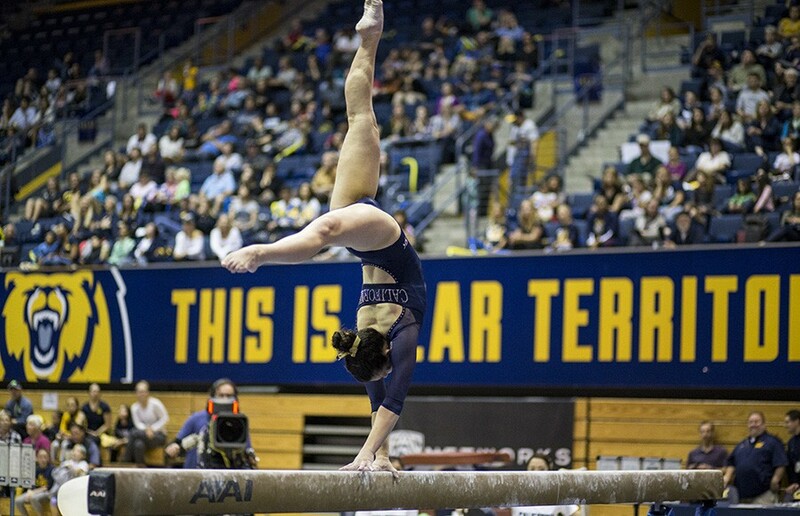 Cal will look to continue its season-long consistency on vault, as well as continue with the trend of improvement on floor, the event in which the Bears have struggled the most. 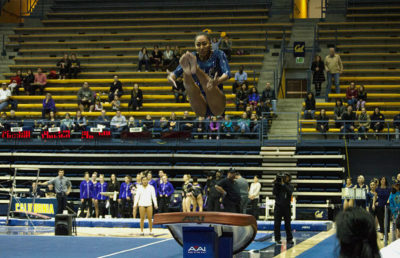 Formidable though it may be, a win for the Bears at Utah this Saturday would not only continue a perfect streak but also solidify Cal as one of the premiere college gymnastics programs in the nation.